I want to thank you all SO VERY MUCH for donating to my Sock Summit raffle! Thanks to you guys and some generous friends, Lotus Yarns will be in Portland for the Sock Summit in August!!! I'm extremely excited though admittedly a little nervous. This will be my first show EVER and I'm traveling a long way to do it, but I think it will be tons of fun! At the very least I hope to meet some of you and make lots of new friends! So, on to the winners shall we? 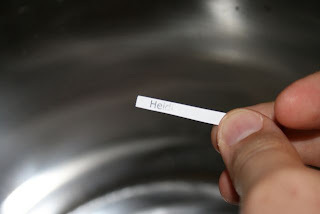 I set up a spreadsheet with all the donators listed the appropriate number of times for their donation, then I cut them all up and put them in a big old dye pot and had Nate act as my lovely assistant and draw names! Oh hi. I printed really tiny and it's a really big dye pot. Har. Prize #1 - One pair of socks, handknit by me for you! 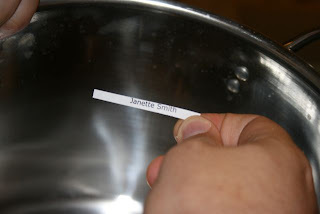 Janette Smith!! Prize #2 - One skein of the Lotus Yarns Hydroponic colorway handdyed by me! 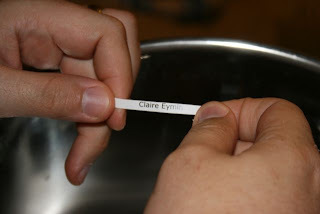 Claire Eymin!! Prize #3 - 10 skeins of Noro Kureyon in color 185, generously donated by allnoro.com! 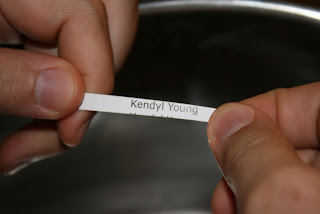 Kendyl Young!! Prize #4 - One handsewn box bag in Amy Butler fabrics from the lovely Carrie! 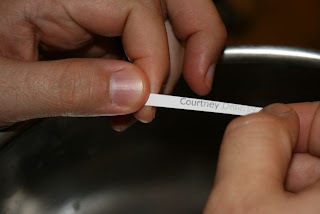 Courtney Denney!! Prize #5 - 10 balls of Elspeth Lavold Calm Wool (003-ashes colorway), donated by Main Street Yarns! 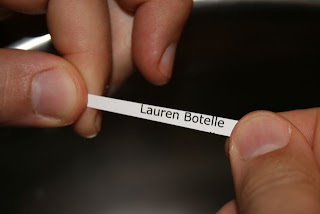 Lauren Botelle!! Prize #7 - 8oz. tub of whipped Shea Butter donated by Kim! 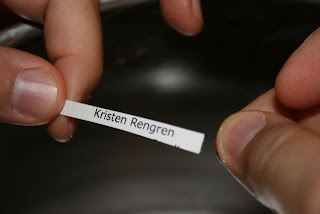 Kristen Rengren!! Prize #8 - Blue Moon Fibers' SilkySocks in Lunasea, donated by Renee! 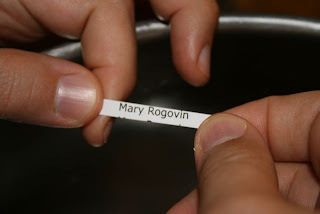 Mary Rogovin!! Prize #9 - Blue Moon Fibers Socks That Rock in Flower Power, also donated by Renee! 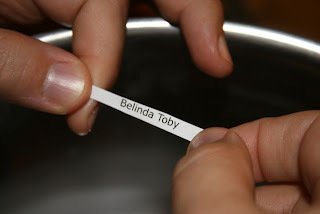 Belinda Toby!! Please email me with your shipping addresses, and Janette I'll need to get with you on a pattern and yarn! Thanks again, everyone, for participating and helping me move to the next level. I really appreciate all of your love, support and encouragement! More updates on the Sock Summit progress as I nail down decisions. 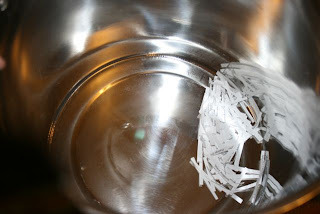 I'm trying to keep it as frugal as possible and I'll also have cute little things that are NOT yarn at the booth. They are so cute but I'll blog about those later! For now, I'm just so happy to be going that I squee at least once a day! !